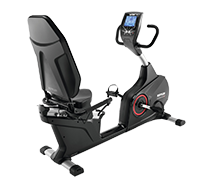 The top recumbent ergometer RS3 of Life Fitness offers many training options with the Track Connect console. 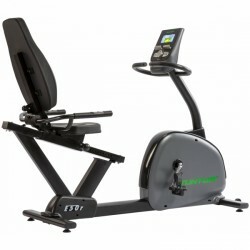 Furthermore, the console can be connected with many Apple and Android devices for interactive training. 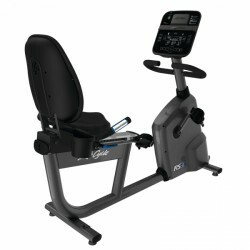 Comfort and stability of the Life Fitness recumbent exercise bike RS3 Track Connect are of commercial quality. 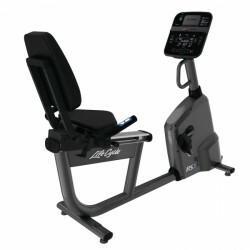 Use the Life Fitness recumbent bike RS1 Track Connect to train your cardio. 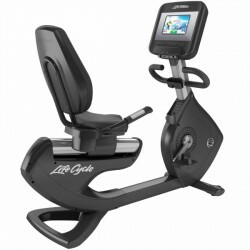 This recumbent bike is easy to use: The seat can be adjusted quickly, the Track connect console is intuitive to control. 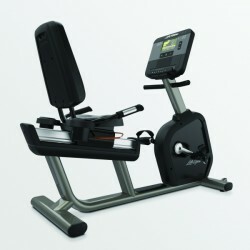 Furthermore, this new generation Life Fitness recument bikes has a low step-through.